Each summer at our neighborhood park, Farwell, community members observed children hanging out at the park without parent supervision and an increase drug activity. So in 2010 I decided to create enriching park programming for the children who frequented the park daily throughout the summer and the We Care Performing Arts Program was born. In creating this program it was important to meet neighborhood youth where they are. Based my observations of and interactions with neighborhood youth, I realized that they knew little about their own culture’s history and lacked the self-confidence needed to succeed in life. To address this situation I created a free performing arts program at Farwell Park. I chose performing arts programming for two reasons. First the performing arts are an effective tool to highlight and showcase the roles, achievements, and contributions African Americans have made to American and world culture. Second, participation in the performing arts increases a child’s self confidence as well as his/her ability to self regulate, cooperate with others, express him/herself both honestly and peacefully, and be disciplined. Immediately I found support from neighbors who live directly around the park and the Homewood Development Council. That first summer We Care Performing Arts ran solely on community support. Each summer since 2010 the program has grown both in scope and partnerships. 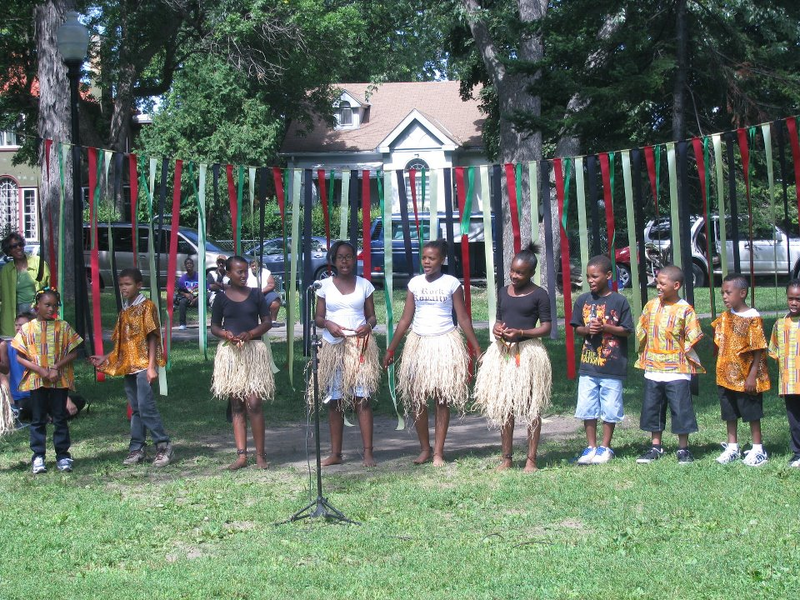 Over the years partnering organizations have included the Pohlad Foundation, Black Story Tellers Alliance, Hired, Homewood Studios, Minneapolis Parks and Recreation, Minneapolis Public Schools, Minnesota Dance Alliance, North Commons Park, NRRC, Perpich Center for the Arts, Step Up, and UROC. This summer We Care Performing Arts is again excited to provide youth with a free performing arts program at Farwell Park culminating in a student performance at National Night Out.